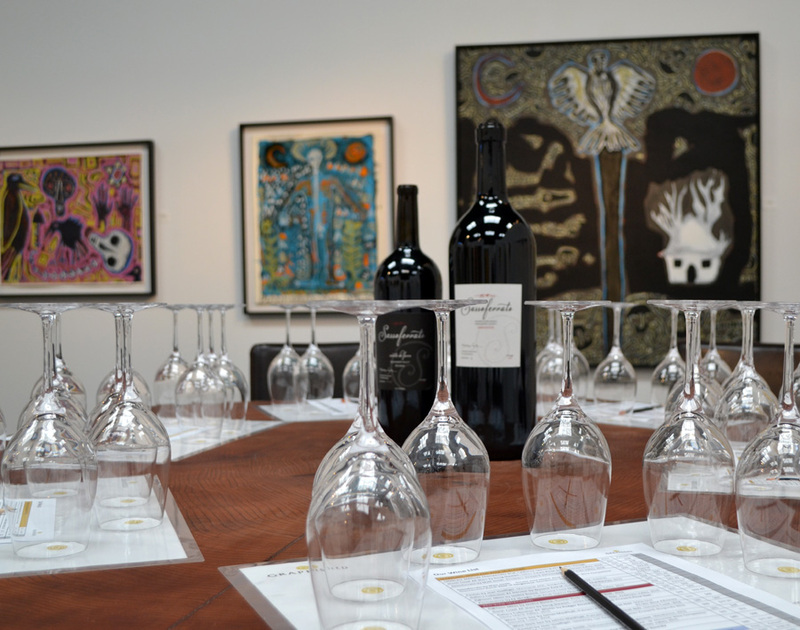 Taste wine in an art gallery on your next trip to Healdsburg, CA. Pretty as they are, the kind of colorful watercolor paintings that depict classic wine country scenes like rustic barns and poppy-sprinkled hills striped green and gold with vineyard rows aren’t the only kind of art you’ll find paired with wine in Sonoma County tasting rooms. 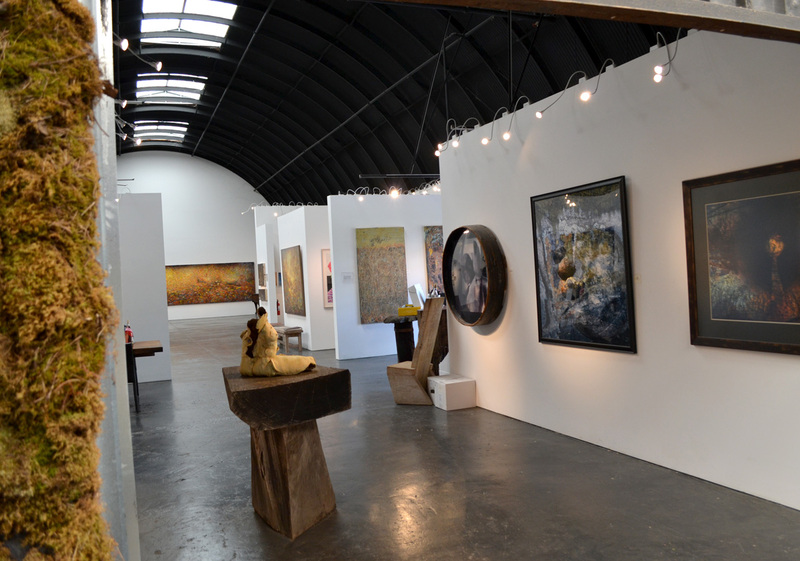 Art professional Paul Mahder opened his second Paul Mahder Gallery in Healdsburg in September 2014. Formerly, he directed the non-profit Blue Room Gallery in San Francisco before opening an eponymous gallery in Presidio Heights. Far from an annex, the Healdsburg location is the largest such gallery north of Los Angeles, according to Mahder, who represents the work of 45 international artists, but also makes the space available for community cultural events like performances and lectures. Meanwhile, winemaker Matt Smith and wine brand manager Dave Trebilcock cofounded GrapeSeed Wines. Initially, the plan was to “crowd fund” winemaker side projects and boutique wineries, but it’s more like a direct-to-consumer-only model now, with discounts available to “partners,” or wine club members. So far, it looks like a good pairing with the gallery: located in a vast, hangar-like, double-Quonset hut, the gallery provides plenty of space for both exhibit viewers and wine tasters. In good weather, tastings may be held in the covered sculpture garden where one wall is a mesmerizing carpet of moss. 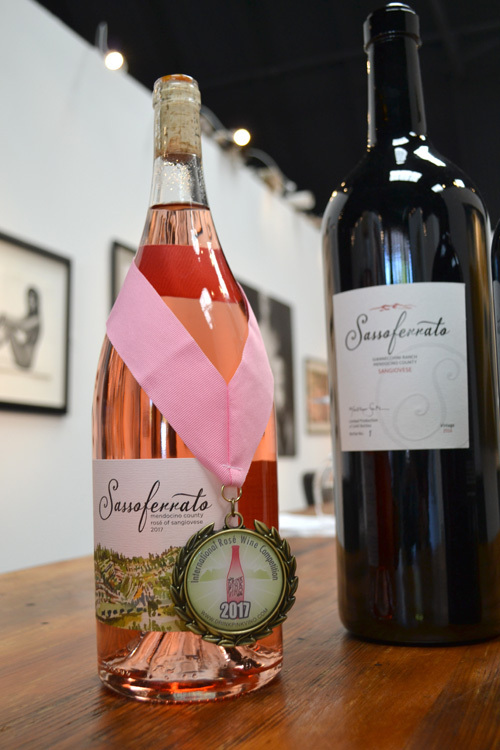 The tasting starts out informally enough, with a welcome pour of Sassoferrato 2016 Rosé of Sangiovese ($29) by cofounder Matt Smith. It’s nicely balanced between cherries, strawberries and a bit of cream, neither sweet nor searingly sharp. Success with the red version of this Tuscan grape is even more rare, but Smith’s Sassoferrato Giannecchini Ranch Sangiovese ($35) is the best-selling wine in the tasting room, according to Trebilcock. Named after the village in Italy that Smith’s grandfather left in 1914, the Sassoferrato red has the alluring cherry fruit and rounded, just slightly puckering palate profile of some fine Italian versions. James MacPhail surfaces again with his Wine Dark Sea 2016 Putnam Vineyard Pinot Noir ($80), a loamy, earthy exemplar of Sonoma Coast Pinot with dry cranberry fruit; Jessica Boone’s Eighteen Miles 2016 Pinot Noir ($55) shows classic Russian River Valley cola notes. These wines are only available at GrapeSeed, and are made in partnership with the brand. The Gallery Collection is, in turn, a partnership with artists represented in the gallery, featuring artwork reproduction on the label. Tastings are by appointment, but they’re likely to welcome you with rosé and make an on-the-spot appointment if you show up at the side door (look for the bicycle sign on Healdsburg Avenue). Tailored flights are available — all Pinot Noir, for example — and all tastings regardless of price are held with a proper lineup of stemware for each pour. 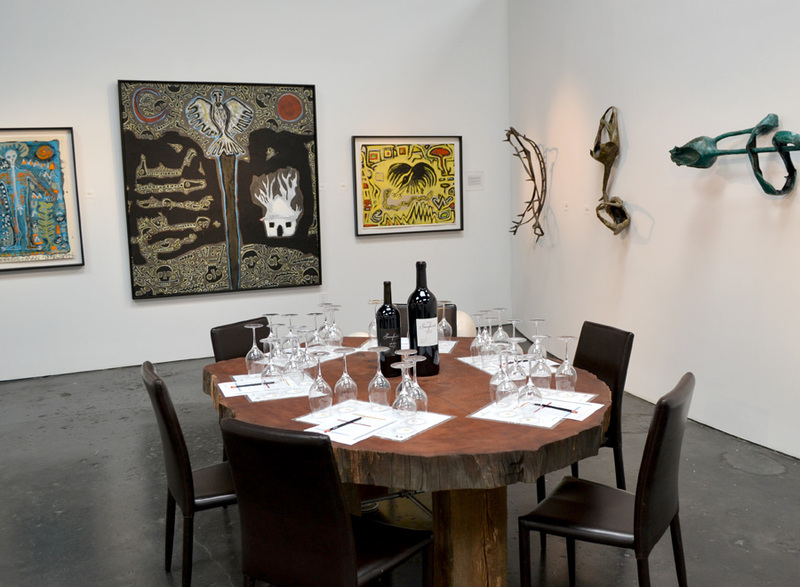 There’s much more fine art to see in Healdsburg’s galleries and tasting rooms. See our article, “Stroll from Art Gallery to Art Gallery in Healdsburg,” for ideas. Interested in the historical background of this quiet agricultural town turned art and wine destination? Discover the exhibits at Healdsburg Museum & Historical Society. Or rent a bike and explore Dry Creek Valley to get some inspiration for your own wine country watercolor. 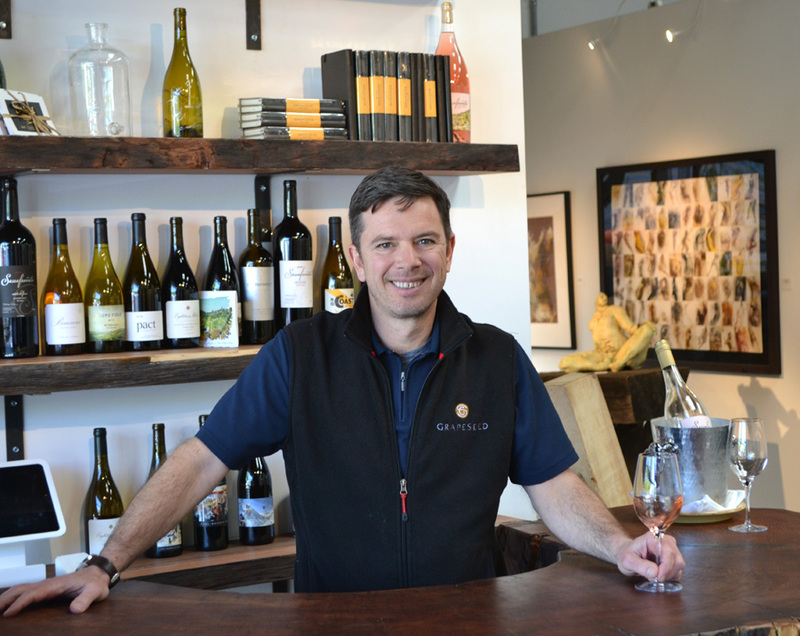 GrapeSeed Wines, 222 Healdsburg Ave., Healdsburg, 707-974-1880. Tastings by appointment daily (except Tuesday) 10 a.m.–6 p.m. Basic tasting fees, $15–$20.